We like to shower engaged couples with gifts, words of advice, and best wishes. But in doing so we fail to adequately prepare them for the most difficult, life-changing, soul-exposing relationship they will ever have in their life. So when couples get married and marriage turns out to be a lot trickier than they thought, the result is they feel isolated, as if something is wrong with them. 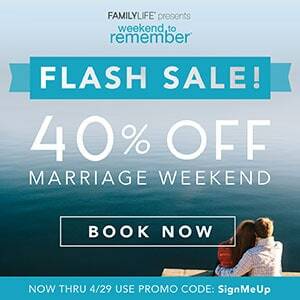 Sometimes it takes a weekend getaway to remember that you are not alone in this often difficult journey of marriage. 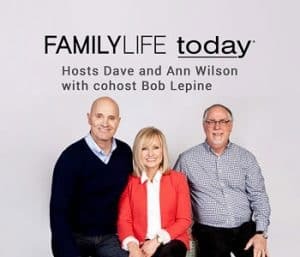 My husband and I recently attended FamilyLife’s Weekend to Remember marriage getaway, where we were reminded of some fundamental points about the covenant of marriage and how difficult it is to blend two very different sexes into one flesh. Nobody told me marriage would be hard. I got married at 22 with the naïve belief that marriage was the “end” of my journey and would result in a lifetime of happiness with my husband. But when the wedding ended and everyone went home, real life began. When my husband and I began to fight over things that had never come up in our dating relationship, I began to feel like I had made a mistake. Why else would this be so hard? After all, everyone told me that if you married the right person, marriage would come easily. But the Weekend to Remember reminded me to step back and reflect that, while marriage is indeed hard, that’s not a bad thing. Here are five things that we learned during our Weekend to Remember. 1. Men and women are different. Period. It’s truly a miracle that God can take two individuals who are wired very differently and mold them into one. Beyond the differences between the sexes, people in general are all very different with unique personalities. And we’re expected to choose just one person with their unique personality to walk alongside through life’s joys and challenges. It’s not easy, but it’s one of the most sanctifying processes we will ever experience. 2. Marriage is hard at every age. When we walked into the Weekend to Remember, we marveled at the many different age groups that were represented. 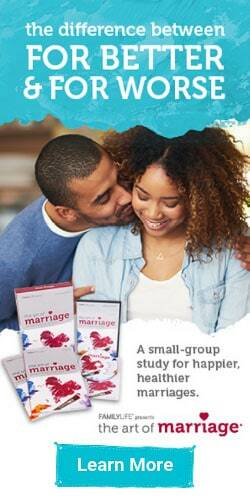 As young 20-somethings, we expected to see more middle-aged couples that might be struggling in their marriage. Instead, we saw elderly couples, young parents, newlyweds, and people just like us. It was a beautiful reminder that no matter how experienced you think you are in marriage, you can always use some extra wisdom and words of encouragement on how to strengthen it. It reminded us to remain humble and invest in our marriage, no matter how healthy we think our marriage is in a particular season of life. You can attend all of the marriage retreats you want, but if Jesus is not at the center of your life, you are relying on the wrong strength to sustain your marriage. Your spouse will never be perfect and they will most likely fail you at some point. But Jesus won’t. If you make Jesus the center of your marriage, you will find a foundation sturdier than any self-help book or marriage conference. A Weekend to Remember had great advice, but they always pointed us back to God. Since men and women are so different, you can expect to have trouble communicating in a marriage. The Weekend to Remember equipped us with the tools to communicate, and even disagree, well. Disagreement is inevitable, but we decide how we communicate that disagreement to our spouse. My husband and I thought the communications sessions were great because they took very abstract concepts and offered incredibly practical advice. 5. You need to get away. When life becomes hectic, we often forget to invest time in our spouse. Even if you schedule a weekly date night, sometimes life still gets in the way. Taking the weekend to focus only on our marriage allowed us to pull back from our busy lives and remember what is most important. I encourage you to get away with your spouse every once in a while to reflect on the joys, hardships, and dreams for your marriage. Marrying my husband changed my life. It made me accountable to another human being. It unified us in one flesh. But it has also introduced new struggles that I never anticipated. After spending our first couple of years feeling alone in the intensity of marriage, I began to realize that we were not an anomaly. Our challenges might not be the same, but we all experience life’s difficulties and curve balls, especially when we walk through life with another, entirely different person. My husband is my greatest love and I can’t imagine a life without him. But no one is immune to challenges. I only wish someone had taught me these lessons before we walked down the aisle. I encourage you to take some time to remember these truths. The Weekend to Remember is a great start.